More on the AVTEQ Corporate Series Multimedia Cart for Single 65 inch Screen (Black) GMP-200L-TT1 below. 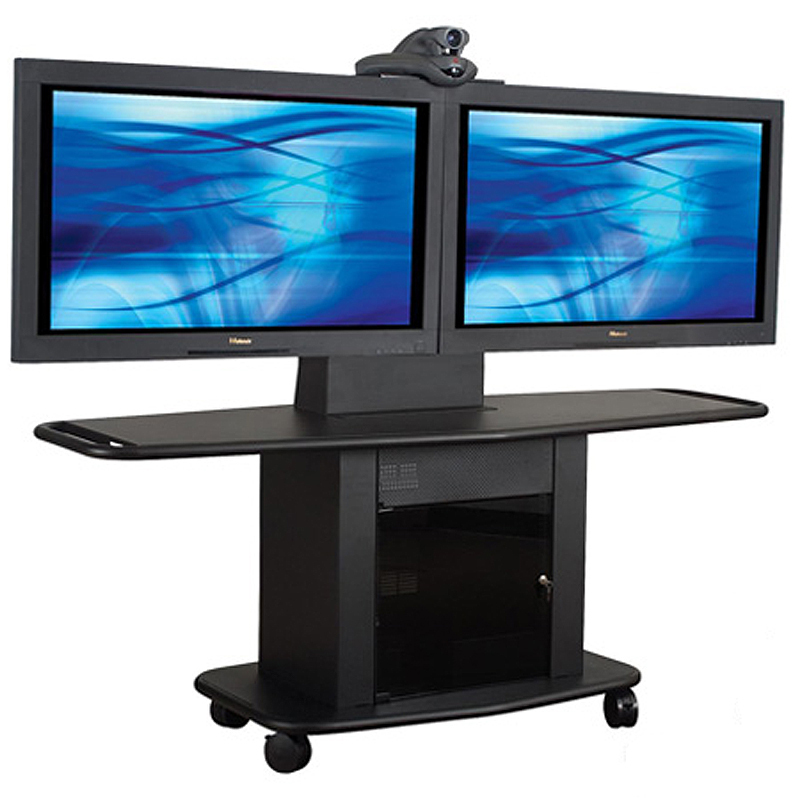 The GMP-200L-TT1 is a 32" tall cart that holds a single display up to 65". Comes standard with 10RU 19" rack mount bracket in front and rear, 6 port surge protector, adjustable shelf, and has an interior depth of 14". Includes universal screen mounting system and set-top camera mount. 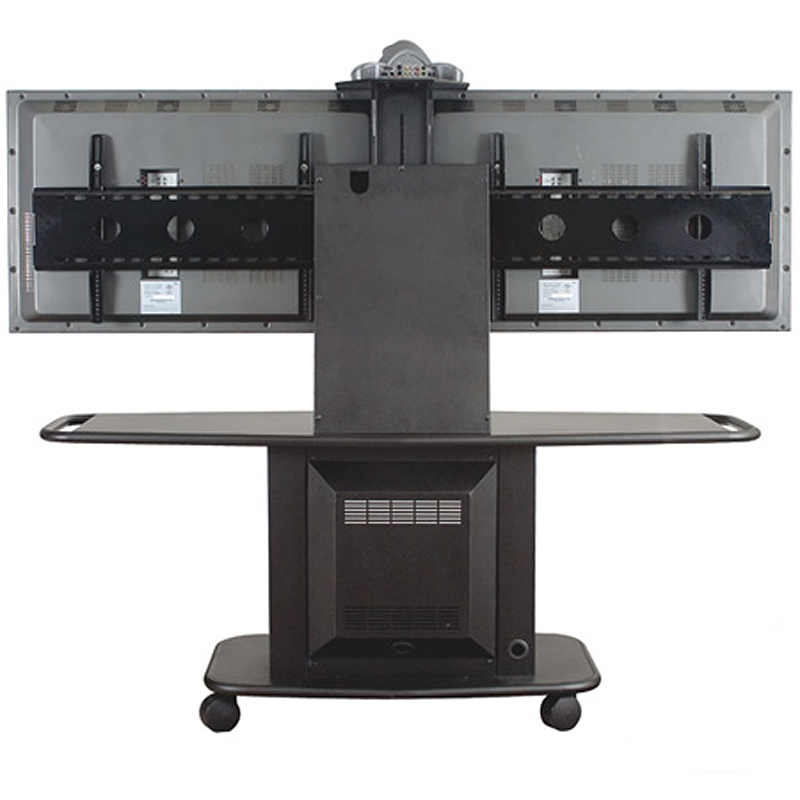 Ample space for one flat panel monitor up to 65"
Standard 19" front and rear rack mount brackets, offering 10 RUs of racking space. 32" height for optimal face-to-face communication. One adjustable, interior, rack mounted shelf. Included 6-port APCR surge protector / power module. One tempered, tinted, locking front glass door. Bolted rear panel for easy access to stored equipment. 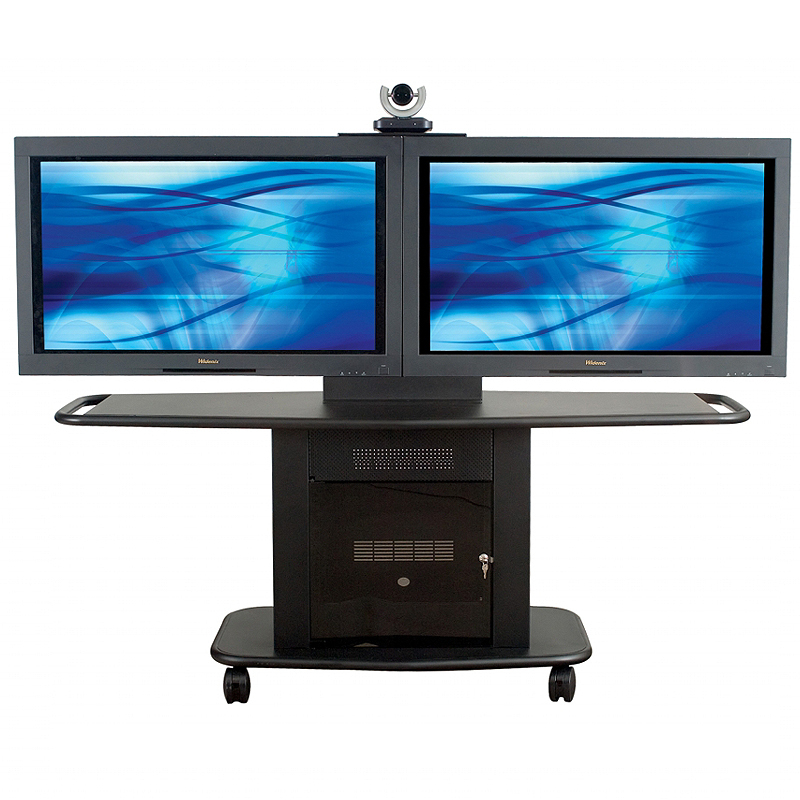 Included adjustable video-conferencing / set-top camera platform. Four standard, 4" double-truck, ball-bearing casters (2 with brakes). *Although the images shown include 2 flat panel displays, this model will hold one single display up to 65 inches. PLEASE NOTE: Please enter the make and model number of your flat panel screen in the "Customer Notes" section of the check-out process. If you do not have this specific information, please enter any information you have available (i.e. the manufacturer and screen size) or call our Sales Team for help. This will ensure that you receive the proper installation hardware for your particular screen.